Your kids love playing in your recliner, which means you never know what you might accidentally sit on. Toys, crumbs and wet spills can all ruin your clothes and even your favorite reclining chair. Which might leave you wondering why they don’t make affordable armchairs for kids? 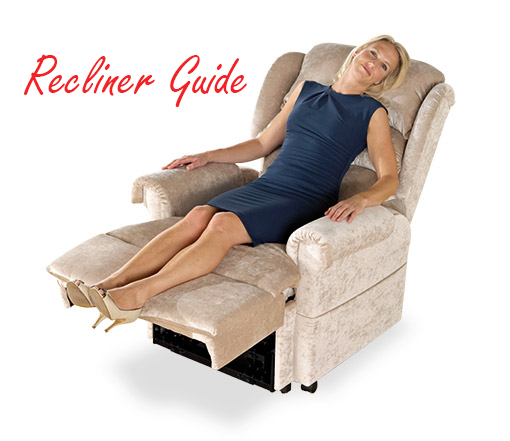 We heard your requests and we have found the perfect recliner for children that are comfortable and easy to clean, and best of all you’ll get your own recliner back. Extra padding for an overstuffed appearance and comfort. The headrest comes with an additional removable cover for easy cleaning. Microfiber upholstery is both breathable and helps to repel stains and fabric odors. The fabric can be cleaned with just a damp cloth in most cases. Both arms open up for easy storage of small items. 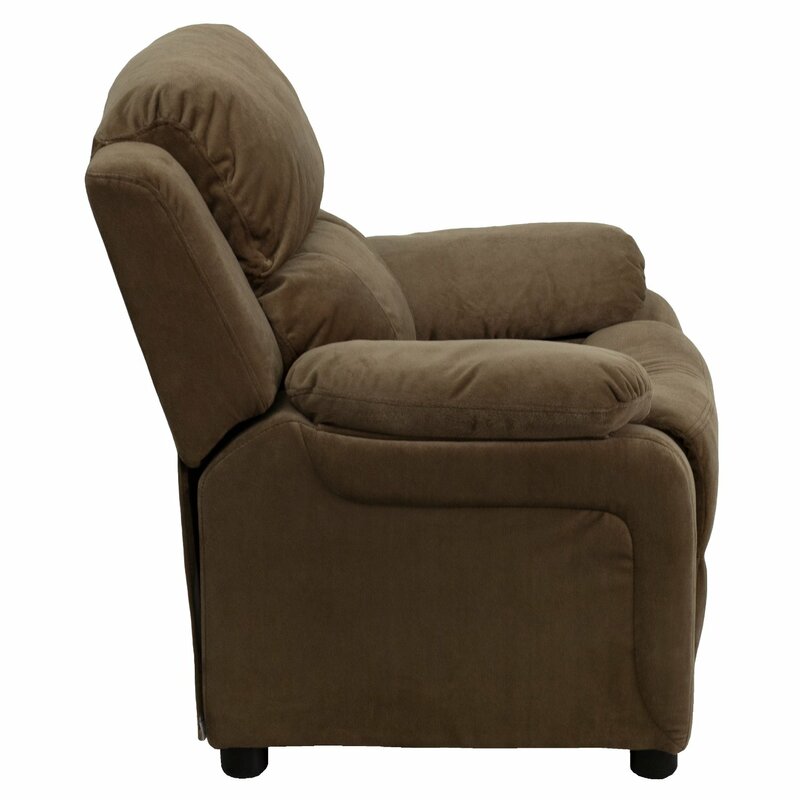 Note: This children’s recliner measures 25 x39 x 28 inches and weighs only 19.4 lbs. One of the most obvious advantages to a kid recliner is that you finally get to have your favorite chair back. The chair is lightweight making it easy to move with you from room to room, and is sturdy enough to last through all of your child’s climbing and jumping. 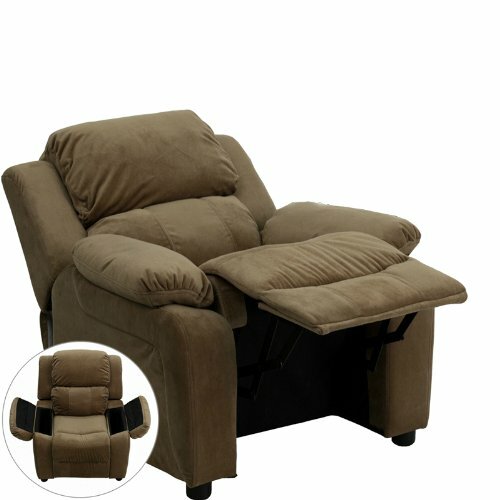 The reclining back and raise able footrest let your child lay back in comfort and feel like an adult. The microfiber construction will help to prevent strange fabric odors and can help to repel stains, and the fabric is also easy to wipe clean. A protective headrest covering is easy to remove and wash, while the stylish design fits easily into your family or living room decorating scheme. 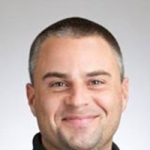 No matter how great a product may be, there are always a few downsides associated with it. 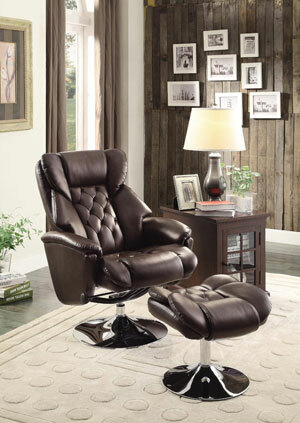 There are many upsides to owning the best kid’s recliner, including the fact that they are out of yours. While the chairs may be perfectly sized for your children and be extremely comfortable and durable there are a few things customers have expressed concern over. The main problem most parents have with this chair is that the colors may be a bit dated, and that there is not a convenient cup holder in one of the arm openings. Otherwise, the standard consensus is that this is one of the best recliners for children on the market today. This company is dedicated to making quality furniture for all of their customers, regardless of their age. 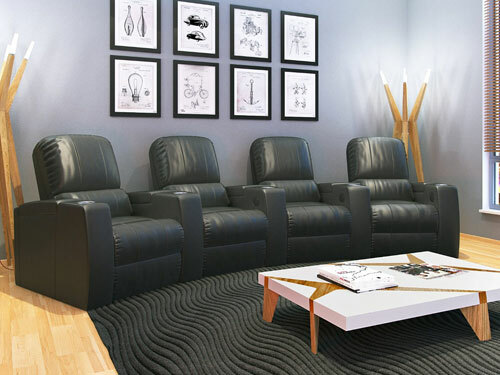 Using only high quality fabrics and innovative designs, it is easy to see why Flash Furniture is becoming one of the leading names in functional and durable recliners, chairs and other pieces of furniture. 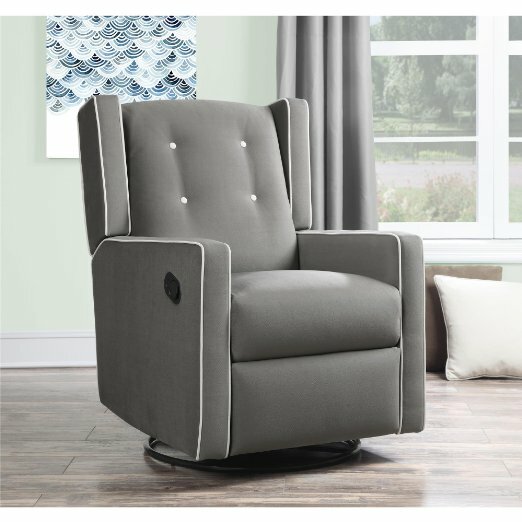 If you are looking for a stylish and comfortable kid’s recliner, then this high quality children’s armchair may be what both you and your children are looking for. Durable and easy to clean, you kids will be able to sit next to you in their arm chairs and you can get back to relaxing in your own.